House & Garden’s newest main feed, Aqua Flakes has quickly become known as one of the best and most versatile products in our industry. Manufactured based on the needs of UK based growers, House & Garden are one of the only Dutch nutrient manufacturers to offer a grow formula of their base nutrient range. 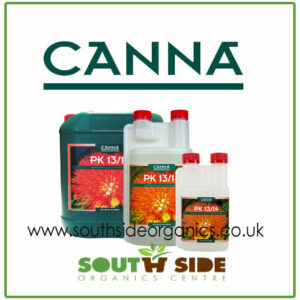 Other manufacturers only cater for the European market, where growers tend to have a much shorter grow cycle than here in the UK. Designed for use in all types of re-circulating systems, Aqua Flakes is a nitrogen based fertiliser which gives your plants everything they need for aggressive growth in the grow cycle. It contains all the essential nutrients and minerals for early growth. This ensures lush green growth and a strong root system as your plant grows. Consisting of two parts, an A and a B formula, all House & Garden base nutrients are manufactured using the highest grade mineral compounds. House & Garden (H&G) have been successfully manufacturing nutrients since 1990. Using only high grade quality minerals and taking care in the mixing process, H&G ensure that the end product is perfect every time. H&G offer the complete nutritional cycle for all plants with their cutting edge technology formulas. The H&G nutrient line has been extensively improved and added to the already familiar and established nutrient product line and is one of the reasons why H&G have become the most reliable and successful nutrient producer on the market. Development is continuous, with new innovative products being worked on and introduced to the growers of the world. © Copyright 2019 Southside Hydroponics & Organics Centre Glasgow. All rights reserved.